Congratulations to South Africa 7S for winning the eigth leg at Singapore! Coming up, we’re off to London, England for the next leg playing on 13 – 14 April 2019. Congratulations to Fiji 7S for winning the seventh leg at Hong Kong! Coming up, we’re off to Singapore for the next leg playing on 13 – 14 April 2019. Congratulations to South Africa 7S for winning the sixth leg at Vancouver, Canada! Coming up, we’re off to Hong Kong for the next leg playing on 5 – 7 April 2019. Congratulations to USA 7S for winning the fifth leg at their homeground in Las Vegas, USA! 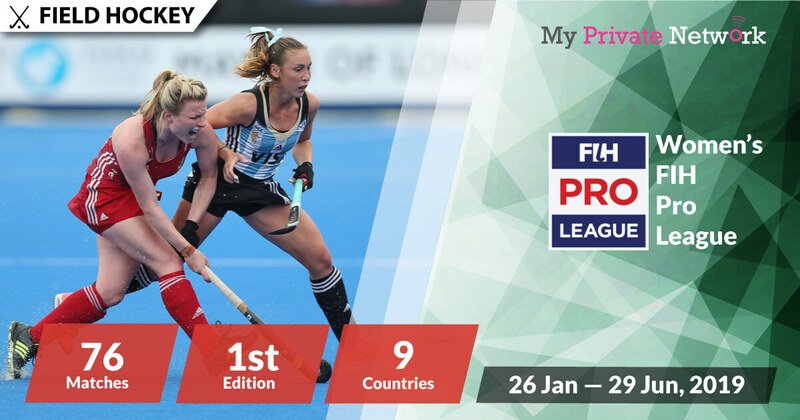 Coming up, we’re off to Vancouver for the next leg playing on 9 – 10 March 2019. Congratulations to New Zealand 7S for winning the fourth leg at Sydney, Australia! Coming up, we’re off to Las Vegas for the next leg playing on 1 – 3 March 2019. Congratulations to Fiji 7S for winning the third leg at Hamilton, New Zealand! Coming up, we’re off to Sydney for the next leg playing on 2 – 3 February 2019. Congratulations to Fiji 7S for winning the second leg at Cape Town, South Africa! Coming up, we’re off to Hamilton for the next leg playing on 26 – 27 January 2019. Congratulations to New Zealand 7S for winning the first leg at Dubai, UAE! Coming up, we’re off to Cape Town for the next leg playing on 8 – 9 December 2018. First founded in 1999, the 2018-19 World Rugby Men’s Sevens Series will mark it’s 20th edition which will be contested by 15 teams (Argentina, Australia, Canada, England, Fiji, France, Japan, Kenya, New Zealand, Samoa, Scotland, South Africa, Spain, USA, and Wales). With the venue hosted across ten countries, starting with The Sevens Stadium, Dubai — the Series will start from 30 November 2018 to 2 June 2019. Know your timezones? Use WorldTimeBuddy.com if you want to check your timezone accurately. Our timezone is set to UTC+0 and we’ve listed local timezones for the different locations being played in. We’ve only listed fixtures for the Series Cup games. Check out the updated official schedule and results from World Rugby Sevens Series here for the Challenge Cup fixtures in Dubai. We’ve only listed fixtures for the Series Cup games. Check out the updated official schedule and results from World Rugby Sevens Series here for the Challenge Cup fixtures in Cape Town. We’ve only listed fixtures for the Series Cup games. Check out the updated official schedule and results from World Rugby Sevens Series here for the Challenge Cup fixtures in Hamilton. We’ve only listed fixtures for the Series Cup games. Check out the updated official schedule and results from World Rugby Sevens Series here for the Challenge Cup fixtures in Sydney. We’ve only listed fixtures for the Series Cup games. Check out the updated official schedule and results from World Rugby Sevens Series here for the Challenge Cup fixtures in Las Vegas. We’ve only listed fixtures for the Series Cup games. Check out the updated official schedule and results from World Rugby Sevens Series here for the Challenge Cup fixtures in Vancouver. We’ve only listed fixtures for the Series Cup games. Check out the updated official schedule and results from World Rugby Sevens Series here for the Challenge Cup fixtures in Hong Kong. We’ve only listed fixtures for the Series Cup games. Check out the updated official schedule and results from World Rugby Sevens Series here for the Challenge Cup fixtures in Singapore. We’ve only listed fixtures for the Series Cup games. Check out the updated official schedule and results from World Rugby Sevens Series here for the Challenge Cup fixtures in London. We’ve only listed fixtures for the Series Cup games. Check out the updated official schedule and results from World Rugby Sevens Series here for the Challenge Cup fixtures in Paris. 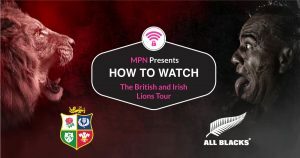 If you’re not currently in the U.K, U.S, Australia, Canada, France, New Zealand, South Africa or if you’re geo-restricted from accessing the stream – then you’ll need to connect to Le VPN first before streaming the tournament from your usual providers. 2) Install Le VPN on any device that you’ll be using to watch the 2018-19 World Rugby Men’s Sevens Series. 3) Connect to the U.K (GBR) servers for Sky Sports, U.S (USA) for ESPN+, Australia (AUS) for Fox Sports, Canada (CAN) for CBC, France (FRA) for Canal+, New Zealand (NZL) for Sky Sport NZ, or South Africa (ZAF) for SuperSport. Sky Sports will be providing full live coverage of the entire series. However, you’ll need a paid subscription with Sky Sports to access their content. Availability: U.K only – Connect to our U.K (GBR) servers first before starting the stream! 2) Search for the live stream and start watching the series! Tip: World Rugby Men’s Sevens Series will be airing live from 30 November on Sky Sports Main Event and Sky Sports Arena. ESPN+ will be providing full live coverage of the entire series. However, you’ll need a paid subscription with ESPN+ to access their content. Availability: U.S only – Connect to our U.S (USA) servers first before starting the stream! Tip: World Rugby Men’s Sevens Series will be airing live from 30 November on ESPN+. Fox Sports will be providing full live coverage of the entire series. However, you’ll need a paid subscription with them to access their content. Availability: Australia only – Connect to our Australia (AUS) servers first before starting the stream! Tip: World Rugby Men’s Sevens Series will be airing live from 30 November 2018 on Fox Sports. Fox Sports’ Rugby Sevens News. CBC will be providing full live coverage of the entire series for free. Availability: Canada only – Connect to our Canada (CAN) servers first before starting the stream! Tip: World Rugby Men’s Sevens Series will be airing live from 30 November 2018 on CBC. Canal+ will be providing full live coverage of the entire series. However, you’ll need a paid subscription with Canal+ to access their content. Availability: France only – Connect to our France (FRA) servers first before starting the stream! 1) Sign in to your Canal+ account. Sky Sport will be providing live coverage of the entire series. However, you’ll need a paid subscription with them to access their content. Availability: New Zealand only – Connect to our New Zealand (NZL) servers first before starting the stream! Tip: World Rugby Men’s Sevens Series will be airing live from 30 November 2018 on Sky Sport 1 and Sky Sport 2. SuperSport will be providing live coverage of the entire series. However, you’ll need a paid subscription with them to access their content. Availability: South Africa only – Connect to our South Africa (ZAF) servers first before starting the stream! Tip: World Rugby Men’s Sevens Series will be airing live from 30 November 2018 on SS1, SS2, and SS8. Don’t Have a VPN yet? Sign up now by clicking the button below for unlimited access to both Le VPN and Smart DNS services. We hope you found this article informative and useful. Please feel free to share it with your friends or family that want to watch the World Rugby Men’s Sevens Series too!